Since 1924, the Malone Family has respectfully and compassionately served our neighbors and friends by providing quality services at one of the most difficult times. My grandfather Frank J. Malone established Malone Funeral Home in the Chicago area and the tradition continued when my father Robert J. Malone with my uncle Walter W. Malone brought the Funeral Home to the Fox Valley. The pride we take in being one of the oldest family owned funeral homes in Illinois is matched each time a family turns to us to take care of their needs. We constantly strive to be worthy of that confidence and remain committed to the highest standards established three generations ago. Our funeral home is beautiful as well as functional with a spacious chapel, comfortable lounge areas and ample parking. We are well equipped to serve handicapped patrons as well as having a children’s play area. We encourage comparison of our services, facilities and prices with other area funeral homes. 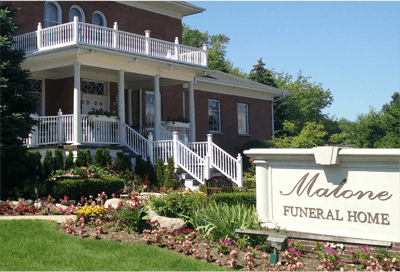 Charges at Malone Funeral Home are the most competitive in the area for traditional funeral services. Each family is treated with the same compassion and consideration with no emphasis on expensive caskets or vaults. 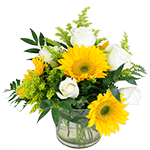 Every effort is made to allow each family to memorialize their loved one in the way they need. At this difficult time, there are many things a family needs to take care of. We encourage you to contact us with all your questions and concerns as your funeral director can help with many of these items. Please do not hesitate to call or email to allow us to help ease the burden.